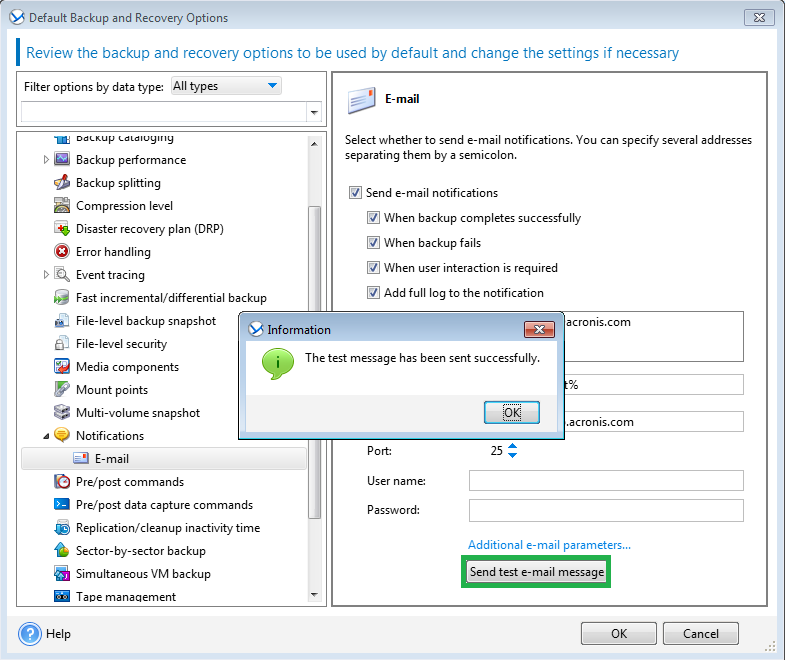 Acronis Backup can be set up to notify you by e-mail about backup and recovery task successful completion, failure or when user interaction in required. 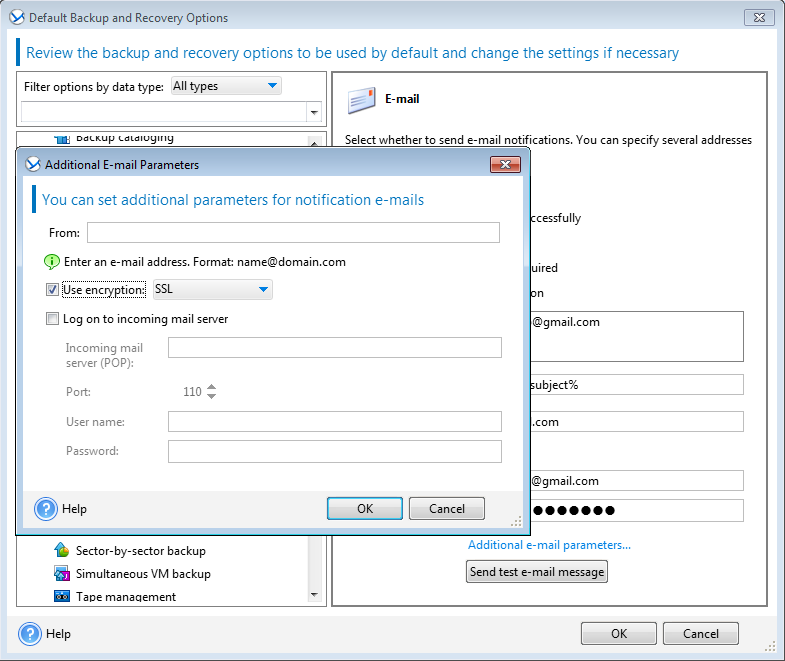 E-mail notifications are not available in Acronis Bootable Media. 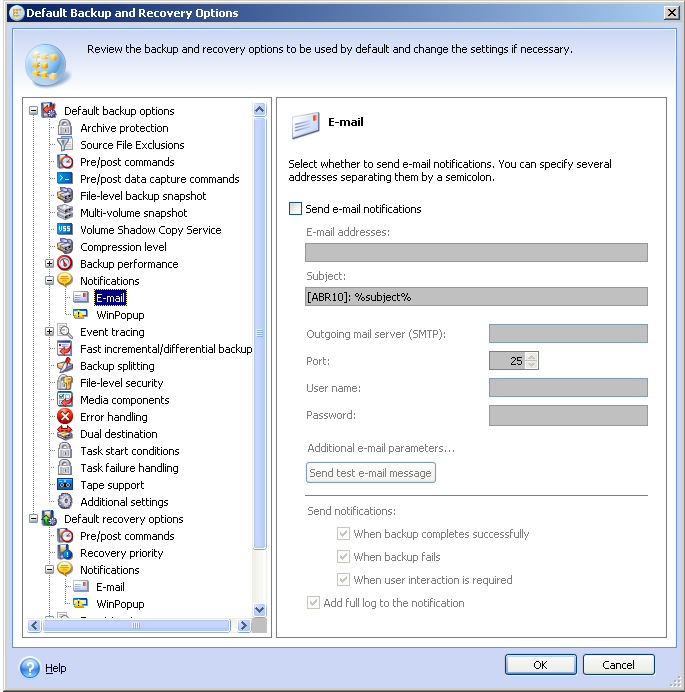 Set up SMTP relay in your Microsoft Exchange Server 2007/Exchange 2010 as described in Microsoft Exchange Team Blog: Allowing application servers to relay off Exchange Server 2007. (!) 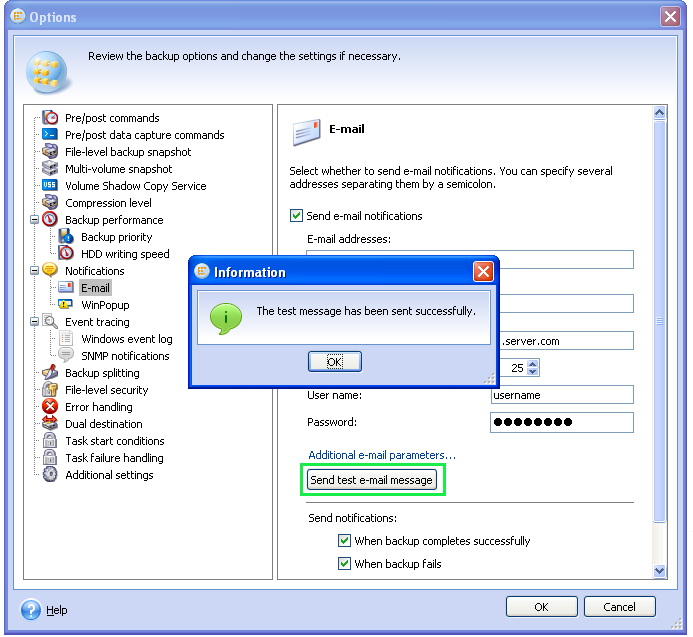 If the SMTP server does not require authentication, leave the User name and Password fields blank, otherwise the program might be unable to send e-mail notifications. 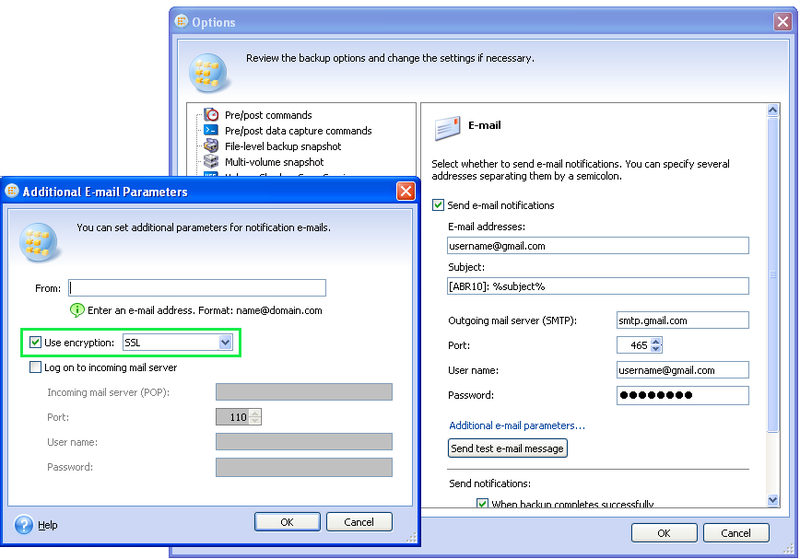 If you are not sure whether your SMTP server requires authentication, please contact your network administrator or your e-mail service provider for assistance. 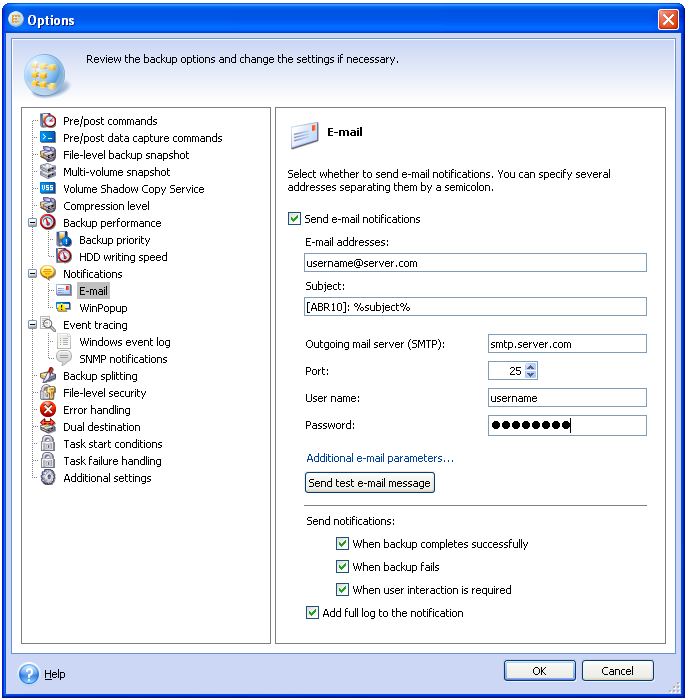 You can specify a custom subject for e-mail notifications in the Subject field. (!) 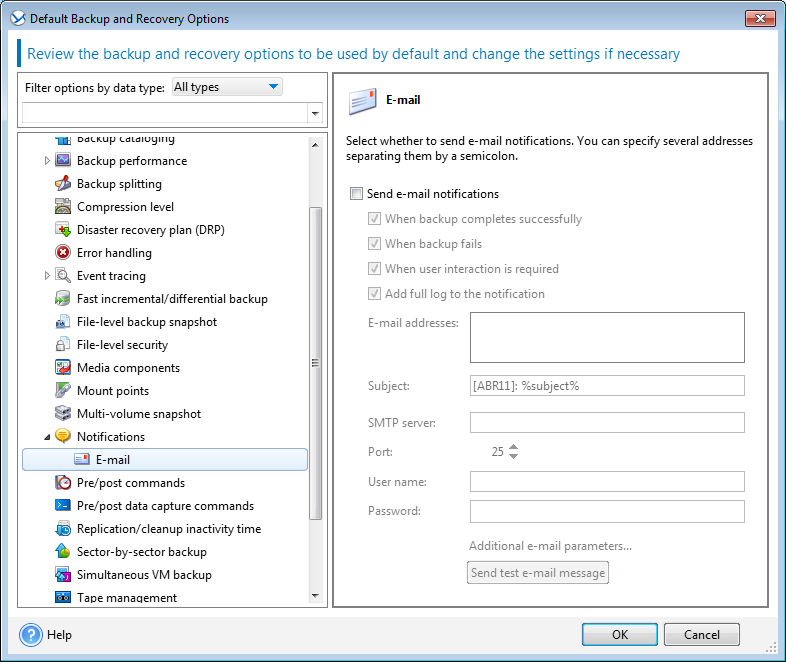 POP support in gmail account settings should be Enabled. 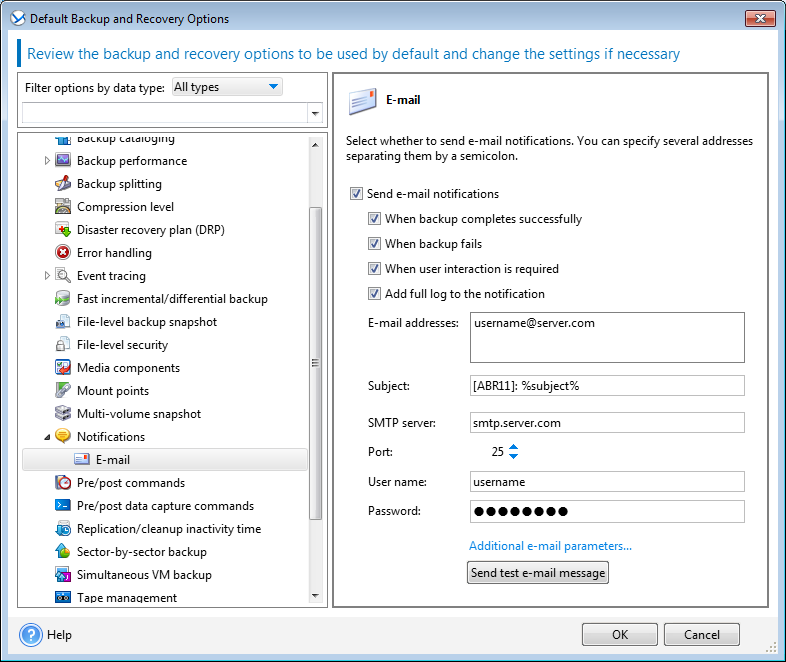 To enable POP go to your gmail account and choose POP Enabled in Settings.